Copyright: © 2019 Zeb A, et al. This is an open-access article distributed under the terms of the Creative Commons Attribution License, which permits unrestricted use, distribution, and reproduction in any medium, provided the original author and source are credited. Background: Effective management of pain in hospitalized patients is an important aspect of quality care delivery, optimal clinical outcomes and patient satisfaction. Nurses play an important role in pain management but it has been widely observed that nurses have limited knowledge about management of post-surgical pain. Methodology: A quantitative descriptive cross-sectional study was conducted in a private tertiary care hospital in Peshawar, Pakistan. Study included nurses working at bedside in post-operative units of the hospital. A self-developed questionnaire was used for data collection. Chi square test was used to analyse the data. Results: The level of knowledge was divided into poor, average, good and excellent categories. Percentage score of categories was, poor (0%); average (6.7%); good (71.7%); and excellent (21.7%). Conclusion: Current study showed that majority of nurses working in surgical units had good knowledge of post-operative pain management. The focus of current study was on the exploration of nurses’ knowledge regarding post-operative pain management, further studies need to be conducted to explore barriers and factors affecting their knowledge regarding post-operative pain management. Medical advancement and evidence-based practices have helped in understanding the different aspects of pain management. Pain is manageable but unavoidable. Pain is common symptom of most of the health problems including different pathological problem as well as traumatic injuries. Literature remains well stocked with examples of pain occurrence after surgery. Unfortunately, like other factors, inadequate knowledge remains a major barrier to achieve effective pain management. Post-surgical/ postoperative pain is described as, a complex response to tissue trauma during surgery that stimulates an aversion of the central nervous system . Post-operative pain is a predictable and worrisome yet a manageable problem . Shockingly, ineffective pain management is quite common phenomenon across the globe that leads to numerous problems for example, increase in hospital stay of patients . Assessment, Physiological Monitoring, and Consequences of Inadequately Treated Acute Pain. Delay in patient’s mobilization and increase in stress level of patients . One of the most crucial and immensely important aspects of patient’s pain management is the role of nurses. Having such an important and unavoidable role; nurses must have sound knowledge based on effective training of pain management . Literature asserts that 50% of health care professionals lack sufficient knowledge on pain assessment and pain management . Pain assessment is one of the most important components of pain management. Therefore, in many health care organizations, pain is assessed on frequent basis. Also, many experts believe that pain shall be considered as fifth vital sign . Health care professionals have been reported to have unsatisfactory level of knowledge about pain assessment. A descriptive cross sectional study conducted in Bindura hospital Zimbabwe showed that 84% nurses were unaware of pain assessment tools, 76% nurses were having minimal knowledge regarding ideal time for pain assessment. Similarly, another descriptive cross sectional study in a tertiary hospital at Nepal revealed that nurses had minimal knowledge in using the pain scale. 63.5% nurses believed that most preferred way to measure pain intensity is patient himself. However, most of them i.e. 86.9% and 83.4% couldn’t rate pain scale correctly . Beside assessment, studies also shows that mostly nurses have low knowledge about pharmacological management of pain specifically about right dose, medicines effect and timings between medication rounds [5,8,9]. A cross sectional survey on surgical department nurses of Ireland found out that 54.3% nurses failed to recognize that aspirin and NSAIDS are drug of choice in management of pain. Furthermore, the study also showed nurses’ improper decision making regarding opioids dosage calculation and titration. Not only pharmacological management, non-pharmacological management of pain is also not implied in an effective way. The non-pharmacological interventions are mainly divided into two subgroups i.e. physical and cognitive techniques. Cognitive techniques are mainly for mental relaxation that includes mind relaxation and music listening etc. while physical techniques include massage and hot and cold compressions etc. In Jordan, a quantitative descriptive cross sectional study was conducted on 211 nurses for investigating their knowledge and attitude regarding post-operative management of pain. Results of the study revealed that correct answers ranged from 10% to 72% while 52% of nurses had no education on post-operative pain management in last five years . Moreover, institutional regular audits and documentation of pain scale by nurses can largely influence pain management. In a descriptive retrospective study, it was presented that usually physician do not assess pain in depth and prescribe analgesics. And also, it has been observed that there is no proper audit for reporting and documentation of pain . It has been noticed that nurses have insufficient knowledge related to post-operative pain management, which leads to poor management of post-operative pain. Nurses even don not know the appropriate pain assessment techniques, if so, is the case then how can they manage patient pain effectively? The current study was aimed to explore nurses’ knowledge regarding postoperative pain management. Based on the finding of this study further exploratory and interventional studies could be planned. Quantitative descriptive cross-sectional study design was used for some study. All nurses working in the surgical units of tertiary care hospitals of Peshawar were the study population. Sample size was calculated through WHO software and was estimated to be 60 registered nurses at 95% confidence interval and 5% margin of error. Study participants were selected conveniently. Data were collected through a self-developed questionnaire. The questionnaire was developed through reviewing the related literature following the questionnaire development guidelines. Expert driven pre-testing of questionnaire was carried out to enhance its effectiveness of questionnaire. Questionnaires were distributed among the participants. The investigators stayed with the participants till they filled the questionnaire. Data were analysed through SPSS version 20. Frequencies and percentages were calculated for categorical variables whereas mean and standard deviation were calculated for continuous variables as descriptive statistics. Chi-square test was applied for finding association among the variables. Permission for data collection was obtained from coordinator nursing services (CNS) prior to data collection. The purpose of study was verbally explained to all participants and informed consent was signed by them. Total 60 staff nurses participated in this study including 13 male nurses and 47 female nurses. The age of participant’s was also categorized into two categories.50 participant’s age was between 20-30 years (83.3%) and 10 participant’s age was between 30-40 years (16.7%). Moreover, 75% of the participants were diploma holders, 7% were BSN degree holders; whereas, 13.3% were Post RN BScN degree holders. Professional experience of 76.7% participants was between 3 months to 5 years while the rest of 23.3% had professional experience of 6 to 10 years. It was also identified that 88.3% participants were single jobbers and 11.7% were double jobbers. The participants who attended workshop about post-operative patient pain management were 15.0% and those who did not attend any workshop were 85.0%. The overall responses to questions are given in the Table 1. The mean score of the participants about post-operative patient pain management was 13.7 (65.64%) ± 2.01 (9.66). Table 1: Percent responses of participants to study questions. Level of knowledge was divided into poor, average, good and excellent categories. The percentage score of the categories showed that none of the participants had poor knowledge regarding post-operative pain management while 6.7% of the participants had average knowledge, 71.7% had good knowledge and 21.7% had excellent knowledge about post-operative pain management. The overall result is shown in Figure 1. Figure 1: The overall result of Level of knowledge. To find any significant association, chi-square test was applied between variables, and significant association was observed between training and level of knowledge; and between workshop attending and level of knowledge with P values of 0.002 and 0.001 respectively. The current study sought to establish the baseline level of knowledge regarding post-operative pain management. Nurses in this study had a mean total knowledge score of 13.7 (65.64%) about post-operative pain management. Previously a study had almost similar results showing that 69% nurses reported moderate level of knowledge towards post-operative pain management. Another finding of current study similar to previous researches [2,11] was nurses (68.3%) opinion that mismanagement of pain can prolong hospital stay and patient recovery. In current study 83.3% of participants agreed that they did not get training on pain management while a study conducted in Jordan has also revealed that 52% of nurses had no education on post-operative pain management in last five years of their professional life. Previously conducted studies have established that pain shall be assessed as fifth vital sign . Concurrently, 95% of participants in current hold the opinion that pain should be assessed as fifth vital sign after pulse, respiratory rate, temperature, and blood pressure. In current studies 78.3% of nurses were agreed that pain was seen in nonverbal behaviour of patients. The finding is supported by the studies done by Bernardi M et al. which assert that patients’ own statements should be accepted as the single most reliable indicator of the presence and intensity of pain. In current study 85% of nurses believed in non-pharmacological strategies of pain management which needs further exploration as no study was found on stated concept. Besides, the pharmacological aspect also has been highlighted in current study in which 86.7% of nurses were agreed that NSAIDS are the most effective drugs in management of pain, this is contradictory with the findings of the study conducted on nurses in Ireland that showed 54.3% of nurses were could not recognize that aspirin and NSAIDS are drug of choice in management of pain. Among participants of current study, 93% agreed that knowledge and attitude regarding post-operative management were based on courses which they learned during their training. On contrary, previously conducted studies had showed that working in clinical settings can best improve nurse’s knowledge and confidence regarding pain management . Current study showed that nurses’ knowledge regarding pain management is good which contradicts the researchers’ observations and some previous studies’ findings. One possible reason could be the limited study setting of current study. 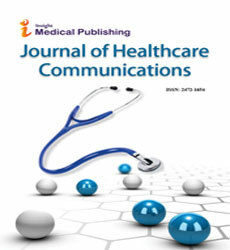 This study was conducted in a private tertiary care hospital where nurses comparatively are more updated and knowledgeable than those working in other sectors. Also, current study included only those nurses who work in surgical units and usually had opportunities to handle patients in pain which might have skewed the results to positive side. As the findings showed that majority of the participants had good level of knowledge about post-operative pain management inspite of not getting any proper training or workshop on pain management. In order to make it more updated, the organization should arrange training workshops on post-operative pain management for staff nurses and also the nurses may be relieved turn by turn for higher education so that they may increase their knowledge regarding post-operative pain management. Moreover, it is also recommended that nursing supervisor should have in-depth knowledge and its application. Kehlet H, Jensen TS, Woolf CJ (2006) Persistent postsurgical pain: risk factors and prevention. Lancet 367: 1618-1625. Bodian CA, Freedman G, Hossain S, Eisenkraft JB, Beilin Y (2001) The visual analog scale for pain. Anesthesiology 95: 1356-1361. Dunwoody CJ, Krenzischek DA, Pasero C, Rathmell JP, Polomano RC (2008) Assessment, physiological monitoring, and consequences of inadequately treated acute pain. J Perianesth Nurs 23: S15-S27. Al Qadire M, Al Khalaileh M (2014) Jordanian nurses knowledge and attitude regarding pain management. Pain Manag Nurs 15: 220-228. Bernardi M, Catania G, Lambert A, Tridello G, Luzzani M (2007) Knowledge and attitudes about cancer pain management: a national survey of Italian oncology nurses. Eur J Oncol Nurs 11: 272-279. Ekim A, Ocakcı AF (2013) Knowledge and attitudes regarding pain management of pediatric nurses in Turkey. Pain Manag Nurs 14: e262-e267. Shah SC, Shrestha D, Dhakal AK, Shakya A, Shakya H, et al. (2016) Profile of macrosomic babies at a tertiary level hospital. J Nepal Paediatr Soc 35: 136-140. Lui LY, So WK, Fong DY (2008) Knowledge and attitudes regarding pain management among nurses in Hong Kong medical units. J Clin Nurs 17: 2014-2021. Yildirim YK, Cicek F, Uyar M (2008) Knowledge and attitudes of Turkish oncology nurses about cancer pain management. Pain Manag Nurs 9: 17-25. Rafati F, Soltaninejad M, Aflatoonian M, Mashayekhi F (2016) Postoperative pain: management and documentation by Iranian nurses. Mater Sociomed 28: 36-40. Polomano RC, Dunwoody CJ, Krenzischek DA, Rathmell JP (2008) Perspective on pain management in the 21st century. J Perianesth Nurs 23: S4-S14. Abdalrahim MS, Majali SA, Stomberg MW, Bergbom I (2011) The effect of postoperative pain management program on improving nurses’ knowledge and attitudes toward pain. Nurse Educ Pract 11: 250-255.